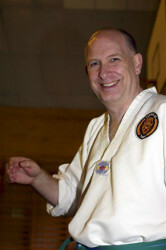 Taekwondo is an extremely good way to keep fit. We have a professional way of teaching, which is methodical and efficient. Physical fitness is essential for healthy living. It helps the body to stay slim, it improves the power of the heart and circulation and could help to prevent diseases. Taekwondo Tigers have taken measures to make ladies feel welcome. 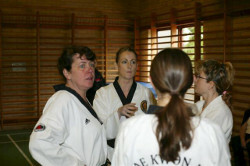 In some areas we have started ladies only classes, traditionally all martial arts are seen as a male sport, but with the present social climate more ladies are taking part. This gives ladies the opportunity to combine physical fitness with self defence.